The Ministry of Health and Family Welfare, Government of India revealed the findings of a study to evaluate the implementation of the Film Rule, under the Cigarettes and Other Tobacco Products Act (COTPA), talking about the influence of portraying smoking on-screen. The study finds that these messages, when properly implemented, are effective in countering imagery of tobacco with warnings about tobacco?s harms – even prompting decisions to quit. However, there is an urgent need for better implementation and enforcement of the Rule across all media. The study titled ?Evaluation of Tobacco Free Film and Television Policy in India? was conducted by Vital Strategies with support from WHO Country Office for India, under the guidance of Ministry of Health and Family Welfare. ?Tobacco use is detrimental to all aspects of life, and grips users in the most productive years. An effective way of tobacco control would be to ingrain and indoctrinate the young minds, the children and the youth. 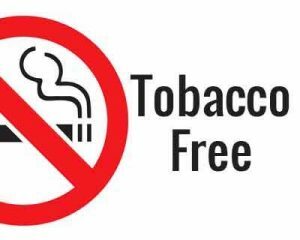 If they could be weaned away from tobacco use, we believe that the battle is half won, since the children and youth of today will be the policy and law makers of tomorrow,? said C.K. Mishra, Secretary, Ministry of Health and Family Welfare, Government of India. The size and popularity of India?s film and TV industry has the power to influence the behavior and attitudes of millions of people. During the study period, 22 percent of TV programmes were found to depict tobacco. Worryingly, 71 percent of these programmes were broadcast when children and adolescents may have been watching. While 99 percent of films with tobacco scenes implemented at least one of the three elements of the Film Rule, only 27 percent implemented all three elements fully, in the approved manner. Despite the inconsistent implementation of the Rule, exit interviews with audiences indicated positive results. Around half of those who recalled any tobacco warning message agreed it was easy to understand and made them stop and think. Around 30 percent said the messages had made them more likely to quit. ?When tobacco is depicted in films and TV programmes, it?s doing the tobacco industry?s work for them. Tobacco kills one million Indians every year and costs our economy USD 22.4 billion. Our objective in this study is to understand the importance of the Film Rule and the current gap in implementation,? said Nandita Murukutla, Country Director, Vital Strategies.